When you first hear the word landscape, what comes to mind? Do you think of mountains, hills or the general countryside? In fact, landscape is more broadly defined as "all the visible features of an area of land" which include bodies of water like rivers, lakes, ponds and the sea. In the field of photography, taking shots of these areas is referred to as waterscape photography, with subjects ranging from the ocean and rivers to waterfalls and lakes. 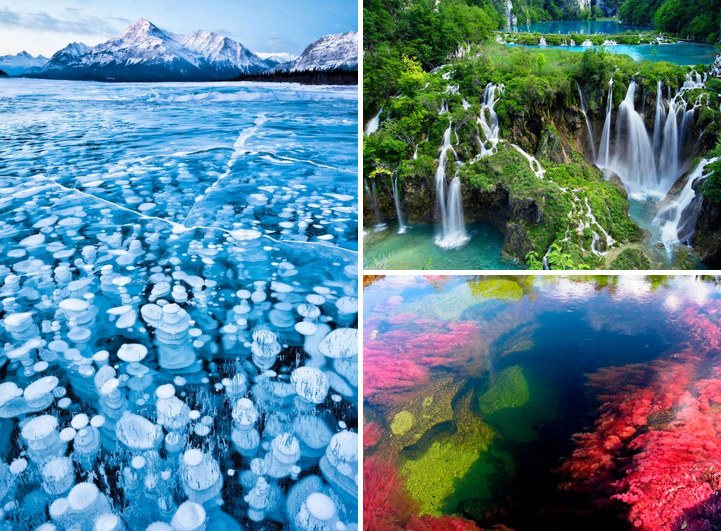 These natural and man-made areas are simply some of the most beautiful and breathtaking places in the world. Today, we take a look at eight of them. They're places that inspire us by not only making us want to travel, which taps into our adventurous spirit, they're places that make us want to live a better, more meaningful and fulfilling life.